Looking at the overall audio recording picture in Language Documentation, the place of headphones is not to be taken lightly. 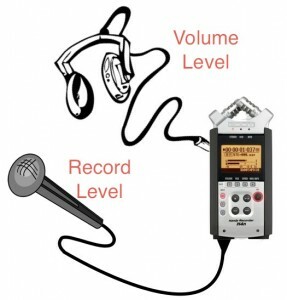 The total recording act has a performer, performing the speech act, a microphone recording the sounds, a recording device digitizing the input from the microphone. And while it could all stop there, an additional step is needed – the monitoring of the input to the recording device. High quality sound is important in the recording process. If the Documenter does not have and ear for what a recording should be (training), then they are not going to be able to tell the difference between a good recording, a mediocre recording and a bad recording. It think it is well known, if not commonly acknowledged that a good mic is needed to make quality recordings (recordings which are faithful at recording the input). Likewise it is no less true that to listen to that recording to assure that it is truly a faithful recording a speaker or set of headphones is needed to produce a faithful output of the recording. So high quality audio (faithfulness to input and to the recording) is not only needed in the capture phase of the recording event but also in the monitoring phase (and the playback phase) of the recording event. Here inter the importance of headphones. It is possible to record with out monitoring the recording but, actively monitoring recorded audio allows for on-the-spot quality control. I have seen some tears shed when a documenter waited till later to find out that the mic record level was set too low or that the record button was not pushed. 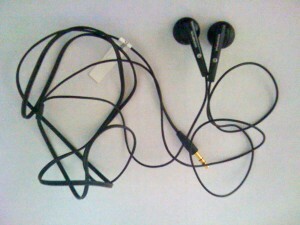 It is also possible to record with low quality headphones, or headphones which are not faithful to the recording. But when these kinds of speakers or headphones are used there is no way to accurately access the quality of the recording. I have seen a good quality recording played through laptop speakers and questioned as being a “quality” recording. I have also seen a poor quality recording listened to on poor quality speakers and thought it was a fine recording, only to find out later what the true quality of the recording really was. Like all gear getting to know what levels your headphones are at is important. When the recording level is set to “y” and you are used to listening/monitoring with Headphone set “A” at volume level “z” and then you switch headphones and use headphones set “B”, the temptation is to change the recording level. Really what needs to change is the volume level from the recording device to the headphones. Every set of headphones will sound different at any given volume setting. The volume of a speaker or set of headphones is only part of the sound equation. Recording volume (or Mic sensitivity) + Speaker volume = Total listening experience. Just as Language Documentation is about Capturing the event,[ref 1] headphones are about Monitoring the recording. Headphones have the distinct advantage over Speakers for not re-introducing noise into a recording, especially in a field recording environment. However, both can be used to monitor a recording. When I recorded in a professional recording studio the mixing room was isolated from the performance rooms and we had Speakers in the mixing room. 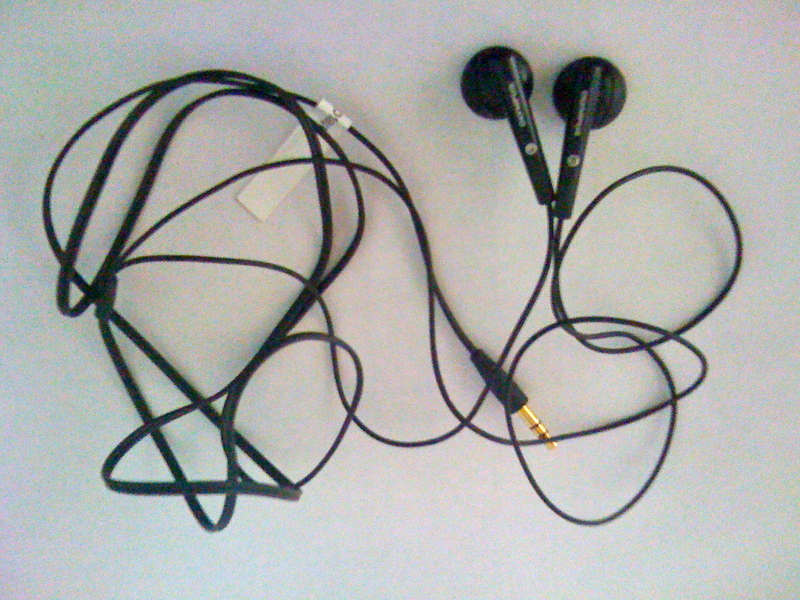 Different kinds of Headphones serve different purposes. A good knowledge of your purpose and a good knowledge of the right kinds of headphones will lead to a great experience. First, lets take a look at the audio listening needs on a language documentation project. Documenter listening to the audio feed while video taping. Documenter listening to the audio while recording. Documenter and Consultant listening to audio while recording with the BOLD method[ref 2]. Documenter editing audio and video. Documenter doing analysis and annotation in the field with tools like Audacity, Praat and ELAN. Documenter listening to their iPod in their hammock at night. With these difference in mind, it is easy to see that various Language Documentation Projects will have different functional requirements depending on the project goals. Additionally, Language Documentation projects often have constraints on their weight of gear to area of service ratios. (Sometimes the documenter just can’t take everything. So take the right tool for the job and hope that tool is light weight.) 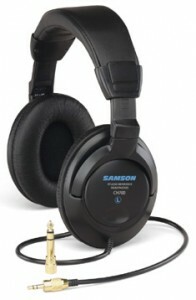 Headphones come into the equation, as apposed to speakers, because they can deliver high quality sound at a low weight. However, should the language documenter just grab their iPod headphones and think that they will be alright? What kinds of headphones are there? 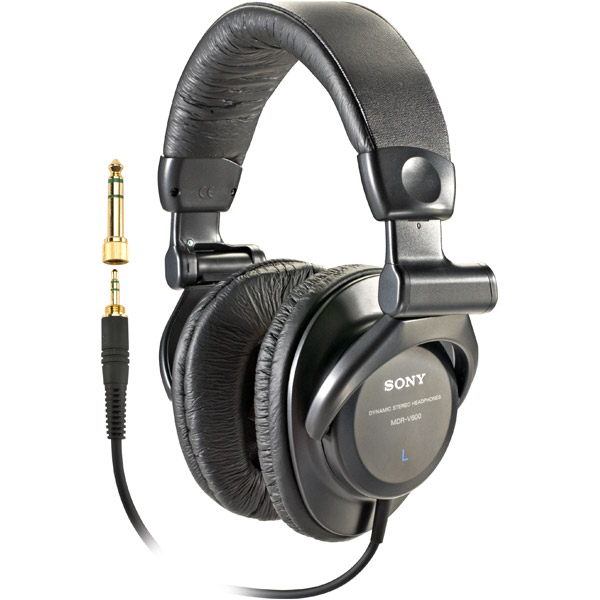 First, there are over-the-ear headphones or Circumaural headphones which cover the wearers ears completely. Open Back – which lets ambient noise into the wearer’s ear canal. Closed Back – which isolates the wearer from noise which is not in the recording. Second, there are on-the-ear headphones or Supra-aural headphones. Supra-aural headphones sit on the wearers ear rather than covering it completely. 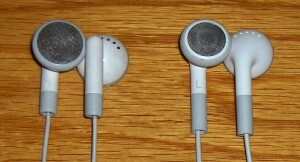 Ear buds, such as the Apple iPod Earphones, which sit in the wearers outer ear, just above the opening of the ear canal. True in-the-ear headphones or In-ear monitors which are actually inserted into your ear canal and isolate the wearer from exterior noise. How do I know a good set of headphones from a bad set? More generally, consider weight, size, durability, fit, frequency response and price. Weight: The Lower the weight the better: less strain on the neck after hours of use and the less weight to carry around with you. Size: Do they fold up? are they compact and easy to pack and carry with your other gear? Are they comfortable for people with large ears? You might not have large ears but if you are asking someone else to wear them then will it be comfortable for them, especially if you are asking them to wear them for a long period of time (long recording sessions). Can they be worn with an over the head mic? Can they be worn by someone wearing glasses? Are they adjustable? Adjustable for head circumference and pronation around the ear. Frequency response: Frequency response should minimally be 20Hz-20kHz. (because that is generally the range of human hearing.) I like going for 5Hz-30kHz because it gives me a full range of bass. I feel like I am hearing the whole range of sound. Flat response: Just like microphones, speakers (and headphones) can make some frequencies (warmer) try and get a set of head phones which are true to signal (flat response).Read about how PC Magazine tests their headphones: How We Test Headphones. Headphone Frequency Response graph by PDMag comparing three sets of headphones. 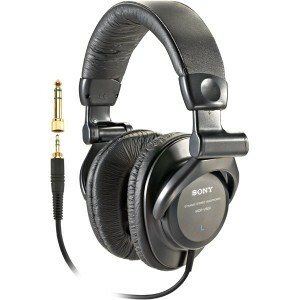 Price: I think I paid $50 (USD) for the Sony MDR-V600 even though the suggested manufactures price is over $100. So look look around. Find a deal. Here is a look a some of the Headphones I have and I have used. How I used them and what I thought about them. These are the ones which come with my iPod. [Apple] [Amazon] [Headphone Reviews]Taken from Apple’s website on April 5th, 2011. Impedance: 32 ohms per Apple for newer models, 16 ohms for older 2008-ish models. Comments: These are the ones which come with your iPod. How I use them: I listen to my iPod with them. I also listen to music through my computer with them. They came with my Olympus WS-320M Digital Voice Recorder. No type ID indicated and they are not the ones indicated on the website currently. Comments: Really clear and crisp sound. 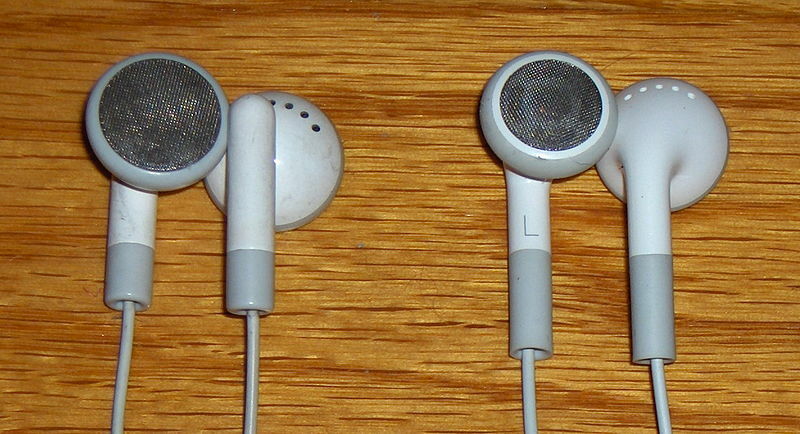 It took some getting used to because they are different than the iPod earbuds. How I use them: I use these to actively monitor the audio though the video camera (Vixia HF200). This is the pair that came in my Zoom H4n Kit. Comments: These came in a packaged kit with the Zoom H4n. They are a bit on the heavy side. they do have a nice sound to them. The do have an adjustment slider to fit various sizes of heads. They are not very compact. How I use them: I use these to actively monitor recorded audio. Mostly when using a Zoom H4n, but also with an Olympus LS-10. Comments: Between these and the Samson CH700 I like these much better. They are lighter, and more compact. They have a larger frequency response than the CH700. And they are adjustable for various head shapes. How I use them: I use these to actively monitor recorded audio. Mostly when using a Zoom H4n. This entry was posted in Hardware, Language Documentation, Linguistics and tagged audio, headphones, Language Documentation by Hugh Paterson III. Bookmark the permalink.